Spaghetti Bolognese, a ‘Great British Classic’ right? I’d bet money on it being most kids favourite dinner. It was mine when I was younger and its my boys favourite dinner too. I’ve always made my bolognese from scratch, it works out a lot cheaper and it tastes so much better. 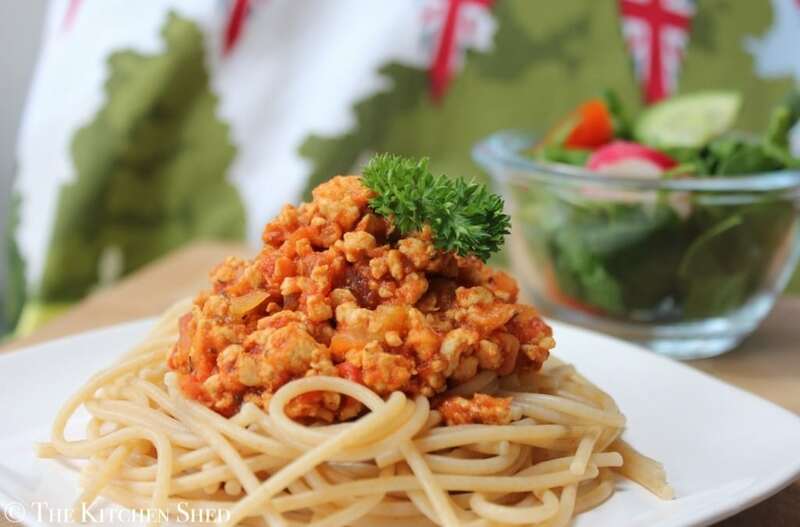 This Clean Eating Turkey Bolognese is twice as healthy with the substitution of beef mince to lean turkey mince. It’s light and tasty and lets face it, it’s bolognese! – Everyone will love it! 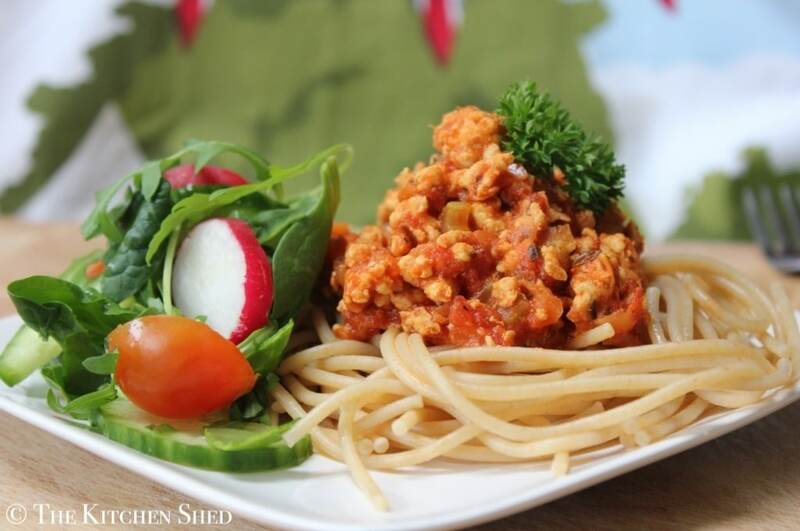 If you haven’t tried turkey mince yet, you must! It’s the perfect Clean Eating lean (animal) protein and it’s pretty inexpensive too. I like to use turkey breast mince when I’m making bolognese or chilli, but if I make turkey burgers or meatballs I usually use leg/thigh mince. I like to use turkey breast mince when I'm making bolognese or chilli, but if I make turkey burgers or meatballs I usually use leg/thigh mince. Place the olive oil, onion and celery in a saucepan and heat over a low/medium heat for 3 minutes. Add the turkey mince and stir to stop it sticking, until it is cooked through - about 5 minutes. Add the minced garlic, basil, oregano, garlic powder, onion powder and salt and stir to combine. Add the chopped tomatoes and turn up the heat. Bring to the boil. Once bubbling, reduce heat and simmer on low/medium for 20 - 25 minutes, stirring occasionally. Serve on wholegrain pasta or spaghetti of choice, or on a baked sweet potato with a large side salad. Oooh, this looks delicious! 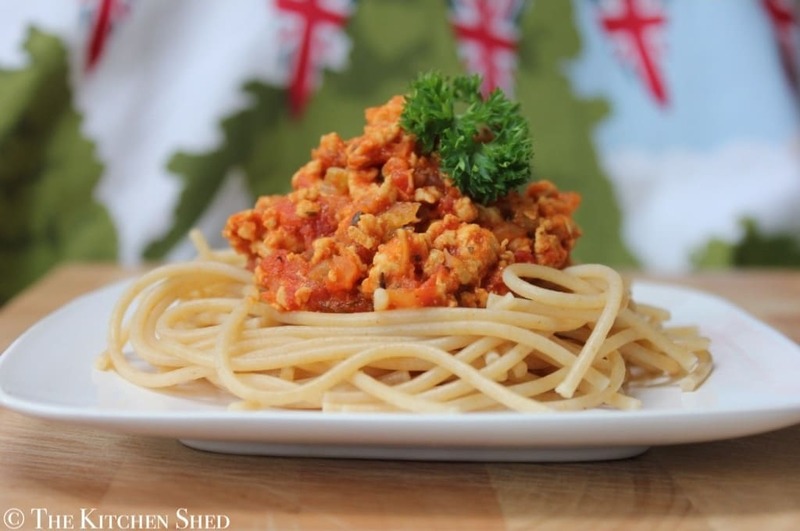 I’ve never tried wholegrain spaghetti beforeI I shall try it at the weekend! Thanks for the recipe! Gilly, you will love it! Let me know how it goes! I love to try thie receipe, it looks so good and natural. Just had this with zoodles for lunch. Absolutely delicious! Love this… And so does my 13 year old. Asks for instead of been bolognese! Good to know I’m getting a lot more protein too! Always goes down well don’t eat beef anymore!